Today’s word is one that’s been on my mind quite a bit recently, as Christmas approaches. 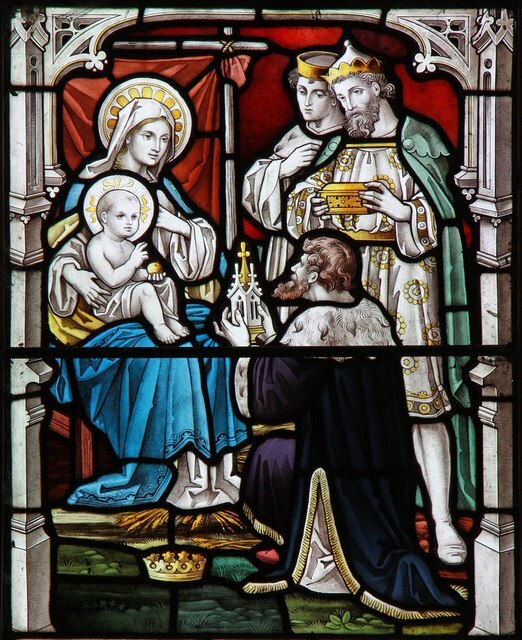 The Day of Epiphany, January 6th, is celebrated as the day that the Magi first saw the baby Jesus…the foreshadowing of the truth that God’s Son came to save both the Jews and the Gentiles. As I said, I’ve been thinking a lot about those “wise guys” recently. Our pastor’s sermon on Sunday morning was centered on their search for the child spoken of in the prophecy of Micah. They saw a “star”, and they knew that it was His. They knew that the Christ Child had been born. Seeing that star was the beginning of their epiphany. Then they opened God’s Word and had an even greater epiphany…that this “king” would be unlike any other king in history. gold, a gift befitting royalty…someone with great power and authority. It symbolized His right to be called King of the Jews. frankincense, an item that figured prominently in the Jews’ sacrifices to Yahweh. It symbolized His status as the great High Priest. myrrh, an item that was often used in the embalming process at this time. It symbolized His role as the sacrificial Lamb…the one who would die for the sins of the world. I don’t know why the star appeared to these Magi. I don’t really know how they knew what the star meant, other than the fact that they were very wise. I certainly don’t know why they followed the star for as long as they did. The fact is, though, that they did, and their story, as told in the Bible, shows us that, in truth, “wise men still seek Him.” And we know that those who seek Him will find Him when they seek Him with all their hearts (Jeremiah 29:13). They will have their own, very real, epiphanies. But this is a blog about writing, so how do we take this word and apply it to our own stories? It has very real application as far as character development goes… Do your characters have epiphanies? Do they have life-altering experiences that dictate what they will be doing in the next scene, the next chapter, or even for the rest of the book? Think back to those “wise guys”. They saw the star, and they followed it…for however long it took them to reach the baby Jesus. What, if anything, is driving your characters like that star drove the Magi? If there’s nothing to drive your characters toward the resolution of the story, you might want to rethink either your plot or your character development. Good fiction is based on conflict execution and resolution…and great fiction includes illuminating discoveries (epiphanies) during the course of the conflict resolution that stay with your readers for the rest of their lives. What lasting impression is your writing leaving with your readers? Have you, or one of your characters, had a major epiphany? Share it in the comments! Every post is an epiphany! If I don’t have something to say, some new insight, something that is burning on the inside that must be written, then I will wait. Boredom is my greatest fear.